You can order accessories for your Philips AirFryer on Amazon, or from other retailers. Note that the frying baskets and basket holders only seem to be available directly from Philips itself. I have the Philips Airfryer. 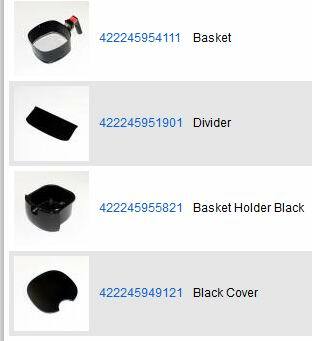 I noticed that in the basket area and in the bottom basket holder the black coated surface is coming off. Kindly advise how to fix or replace the 2 items as I’m scared to use it now.